Aurora Hills Animal Hospital has a state of the art ultrasound on site! 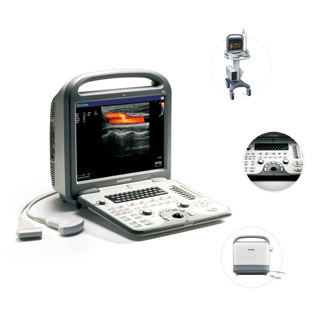 Our doctor has received extensive training on this machine and the area of ultrasongraphy. Ultrasound allows a more in depth look at the abdominal organs; they can be viewed in a more dynamic state instead of the flat view of a radiograph. Tumors on organs can be identified. Changes in the structure of the organs can be noted. Most importantly, we no longer have to wait to schedule a radiologist to come to the practice to perform the ultrasound. We are still maintaining a relationship with our radiologists in the event that a problem is identified that our doctor feels the need to bring in a specialist for consult. Aurora Hills Animal Hospital is very excited to be able to offer this new level of care.